A sturdy and well-designed patio door will do wonders for the aesthetic appeal of any home. It can be the focal point of décor, catching the eye of visitors to a grand entry point and making a solid first impression. In addition, It is crucial to the energy efficiency and resale value of a home. For most homeowners in Portland, Oregon, patio doors are an aspect of a home’s exterior that sees a lot of traffic during the sunny months and endure a beating during the wet seasons. This is why A Cut Above Exterior only installs products that are proven to stand the test of time. We install high-quality patio doors in two premium materials – wood and Fibrex®. Our selection of premium wood patio doors is the perfect balance of artistic detail and performance engineering. Each one boasts a combination of superior craftsmanship and powerful functionality to ensure smooth and reliable operation for years to come. Fibrex from Andersen®, on the other hand, is a composite material that combines the strength and insulating value of wood with the low-maintenance features of vinyl. The result is an elegant energy saving door that will not crack, pit, corrode, or rot and never requires painting. Let A Cut Above Exteriors handle your patio door installation in Portland, OR today. Whether you fancy french or sliding glass doors, we have many styles and colors to complement the architectural design of your home. Not only have we installed hundreds of doors, we have also established a reputation that is second to none. We serve the Portland Metro area and SW Washington areas, and proudly stand behind all installations with our Lifetime Craftsmanship Warranty, as well as the lifetime product warranty from the manufacturers. 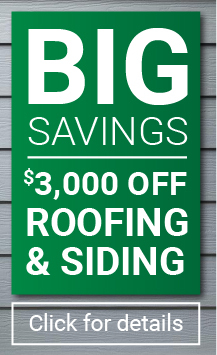 Call us now at 503.334.0733 for a FREE estimate. You can also fill out our contact form and we’ll get in touch with you shortly.